I was happy about Forbes etc nofollowing linkspam. Google is caving to the EU – Goliath vs Goliath. I was right about dealing with recurring event content. 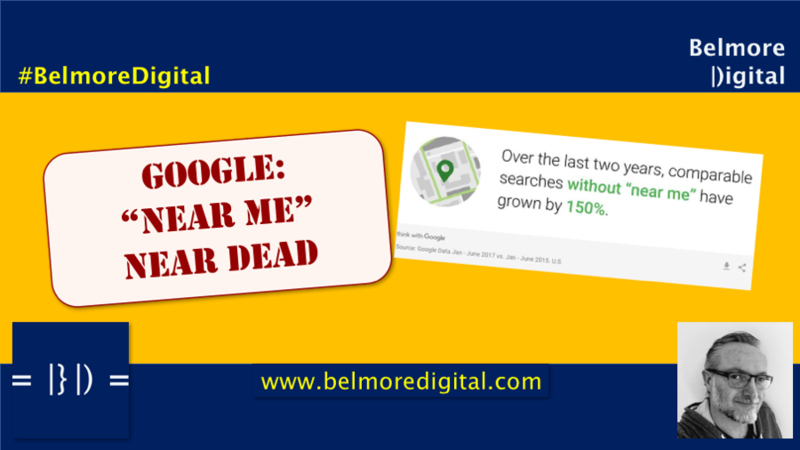 Google popped stats about searchers not using “near me” as much. 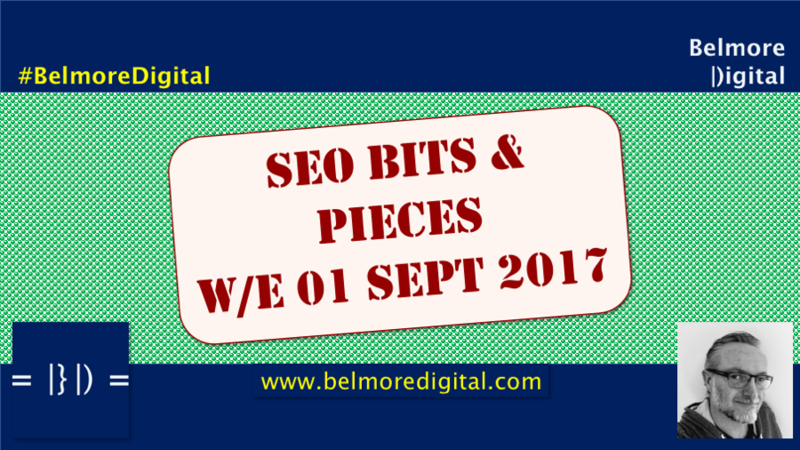 Finally, a Twitter trawl for the SEO Bits and Pieces, and TWIS SEO News & Updates w/e 01 Sept 2017 was done. Read it now so it doesn’t get lonely. 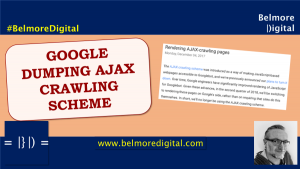 Following on from some Google murmuring about sites selling links, or being parts of link selling schemes (such as we covered in Should Google Ignore or Penalise Link Spam? and Google Ignores or Penalises Guest Post Link Spam) a little while back, it appears it has had an effect. 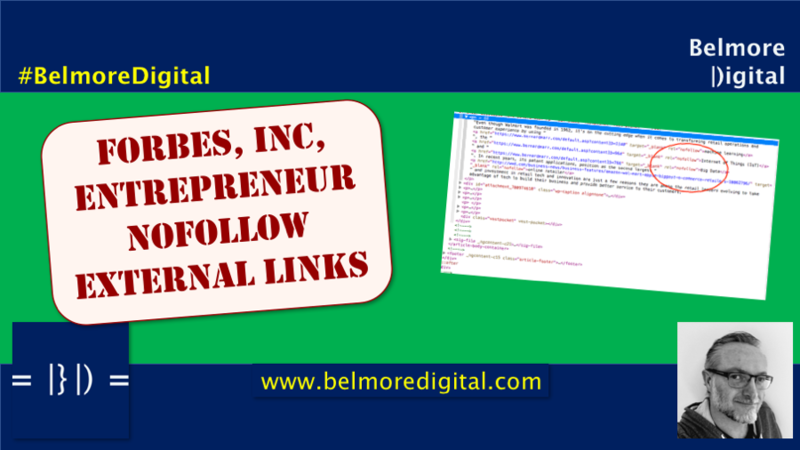 The relatively open “information” sites, Forbes, Inc, and Entrepreneur have all modified their external links to use the NoFollow attribute. This means that external links in articles no longer pass any PageRank, or any anchor text value to the destination URLs. 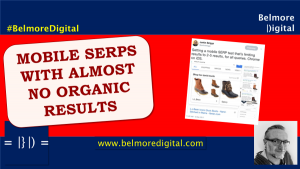 So if you were posting (or having people post to these sites for direct SEO benefit, there is very little to be had any more). 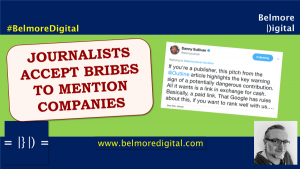 Google hasn’t been explicit about this indirect link selling, but it was viewed that these links were ignored by Google anyway – many were low-quality and with a distinct lack of editorial oversight. You don’t need to remove these links, or remove the articles, or disavow them in Google Search Console. You do need to start creating link-worthy content. You should always look to build links naturally. See my Basic External Linking & Mentions tutorial. You can still use Forbes, Entrepreneur, and Inc for exposure, and possibly traffic, but little-to-no SEO value. 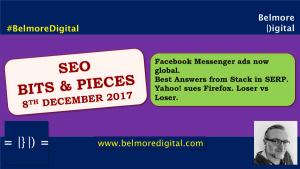 You should ignore any emails from “SEOs” offering to create articles and place them on these sites for SEO value. As these links have likely been ignored by Google for a while, it is unlikely any rankings, or organic traffic will change as a result, but keep an eye on Google Analytics. Click here to contact me to discuss how to create link-worthy content and how to find sites which may link to you. Don’t contact me to sell me Forbes links. This is a good thing. It removes one more element of the snake-oil SEO’s armoury and means that people will get back to concentrating on how to create link-worthy content**. It may also lessen the spam email we all get offering to build “great” content on these sites from unscrupulous people looking to trade off the brand recognition of these names. Finally, we may see a lessening of SEOs trumpeting their being “featured” or “published”, or “an author” on these sites. It means slightly less than nothing. **Actually, it’s also likely it will result in snake-oil SEOs finding the next loophole site to mine and exploit thoroughly. If your website is JS-driven, and only available in JS, you are missing out on 35% of available traffic. 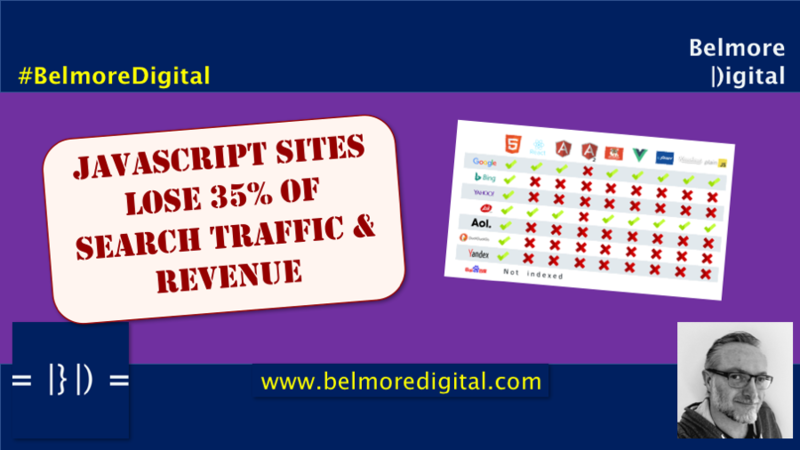 All other things being equal, ranking on those engines would add 35% to your site’s bottom line. Enabling that would be a KPI-buster. Deliver your content in HTML & CSS for maximum traffic and revenue potential. Or at the very least, still maintain a NOSCRIPT alternative. 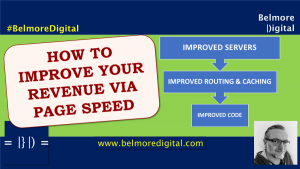 If you are solely coding your website to be parsed, executed and rendered on the client-side, you are missing out on a whole chunk of available traffic and revenue. There’s not a lot more to say than that. Who says the EU isn’t good for something? According to Reuter’s, Google (Aplhabet) is now getting ready to comply with the recent demands from the EU that it offers equal treatment to all in its shopping service. There’s no word yet on whether Google’s submission has been accepted, or whether the EU will continue to litigate this further. Or indeed, if Google’s submission is good enough to prevent further sanctions. 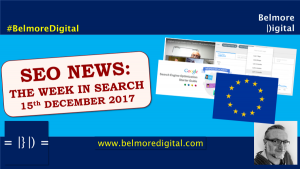 This follows the Google Fined €2.4bn by EU for Anti Competitive Google Shopping Service story we revealed a few weeks ago. 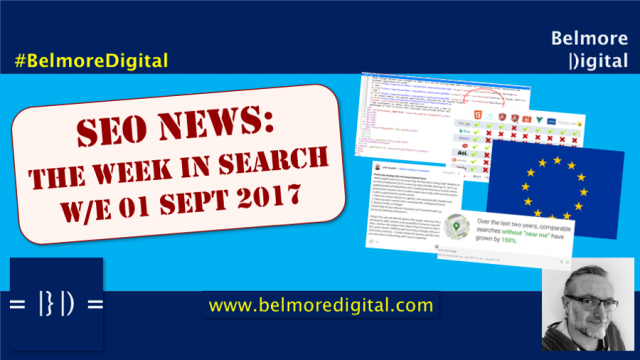 Google has until 28th Sept 2017 to stop its anti-competitive practices in this field. If you are in the Shopping space, keep a very close eye on this story. Do not expect Shopping to magically disappear, or for it to suddenly be open season, but things may improve for retailers who are not part of the program. I have my doubts that things will substantially change. It is likely that Google’s solution does not quite fit, and this gets litigated further. 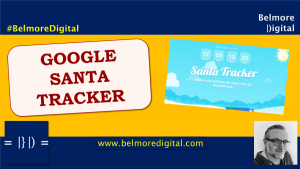 Click here to contact me to discuss Google Shopping. Most people I know believe Google is acting as a monopoly in a number of areas and that it uses that market power as its shareholders expect. Things in the EU are terribly slow-moving. This case has been dragging on for years, and it is not likely to be resolved in the next few weeks. Traditionally, when companies come back with solutions, they treat it like a first offer. It’s rarely accepted, and if it is, should you have offered so much? Reuters: Google acts to comply with EU. Ever since QDF (Query Deserves Freshness) came out, SEOs have been all of a tizz how to deal with recurring dated content. Think of things like the Olympics – do you create a page for each event and promote that, or a single page and then archive off the dated content. John Mu confirmed the advice I’ve been giving clients for years. If you have recurring dated content, create a single page for that content, eg an Olympics homepage. Update that page with the current information. When the information is no longer current, archive it off onto a dated page, eg Olympics 2016, 2012, 2008, etc.. So, stop creating individual pages per event and expecting them to rank for the generic query! 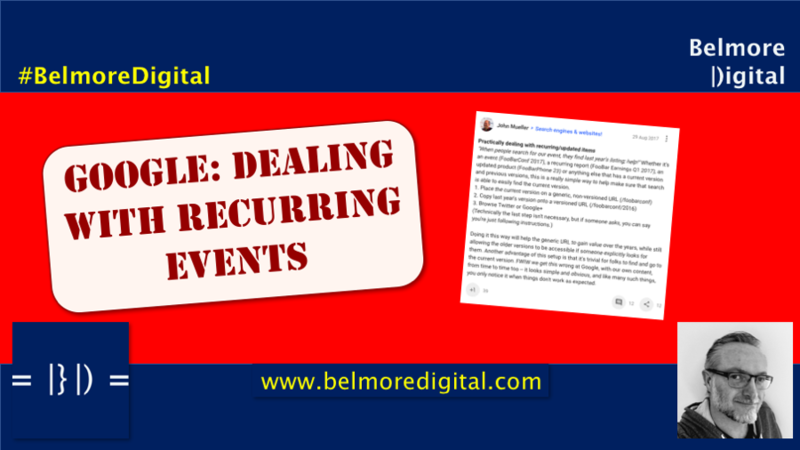 Click here to contact me to discuss how to rank and archive date-based event content. I’ve seen all sorts of advice in regard to this date-based content, when the reality is pretty simple. Creating a dedicated “event” page allows for all equity and value to flow to that URL. It will be crawled more often, it will rank for generic un-dated searches and it will make milk and honey flow (okay, maybe not the last bit). Archiving the content, once the event is not longer current into date-based archives allows users to search using historic queries which are more likely to surface the correct URL in Google’s index. It’s not rocket surgery, people. According to a recent Think With Google piece, users have started to drop “location modifiers” when doing local searches on mobile. 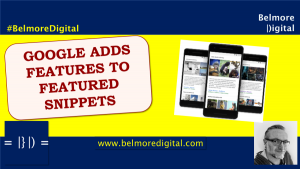 The implication may be that webmasters no longer need to use location terms, or location identifiers in their links, text, HTML and mentions. Clearly, that is silly. Overall searches have grown, but “near me” searches have not increased at the same rate. Google is clearly getting better at delivering localised results tailored to locations, hence some users no longer feel the need to include a location modifier in their search. It could also be that users don’t see the need to state locations when using voice search, or search generated from maps. Keep on using location modifiers in your HTML, text, mentions, links. Use them roughly how people search, eg suburb, or city, area, or street. Avoid using “near me”. That is silly. Click here to contact me to discuss how to get found by users looking for services like yours. There’s data, data and then some more data. These little think pieces from Google are always snippets of information backed up by cherry-picked information which tells half the tale, but doesn’t always tell all the tale. Just like all stats then. It’s really interesting that these types of searches have now proportionally less usage of “near me” type modifiers, but also interesting that Google is more determined to serve a generic query with location based results (when on mobile). I am a little surprised that Google is still using the 1/3 of mobile search has a location intent stat. That was first used in about 2011. I find it hard to believe it hasn’t changed in the intervening years. It is possible that as mobile usage has grown, the stats have stayed the same, but I can’t quite picture the growth stats needed to make it so. Google is testing a natty new service with the publishers of Vogue to bring Vogue audio content to Google Home. Interesting. You can kind of see how Google might start to monetise Home in the future. Or people could just turn on the radio. Google ignore links to “#” – just plain old hash, or pound, it does nothing with them. Honestly, I sometimes wonder where webmasters dream up these inane questions from. Apparently, Google is testing Infinite Scroooooooolllll in mobile search. I can’t believe they haven’t tested that at some point in the past. I struggle to see how it will benefit users. Infinite scroll is usually beneficial when you *want* to carry on seeing something. Go past about result 30 in Google and it’s almost purespam. Another one from the silly questions pile: the wordpress tags, noopener and noreferrer, which cause a fair amount of distress it seems, do not affect your search rankings according to John Mu. Sighs of relief could be heard all across the country. This is an interesting but mildly arcane thread on how, or rather where, Google deals with some duplicate content issues. Key point to note is that canonicalisation of content is done by an auction process and it is “quasi-permanent”. 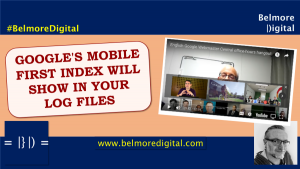 You really need to get your content crawled and indexed by Google first. Gary Illyes on Twitter. John Mu must have been having a day off. Screenshots of expandable sitelinks on mobile were posted on Twitter. Personally, I think they look like a dog’s breakfast, but what do I know about design. Click here to contact me to discuss any of these further. Or just for a chat. Linkspam took a kick in the teeth when Forbes, Inc & Entrepreneur nofollowed all their linkspam valuable external links. 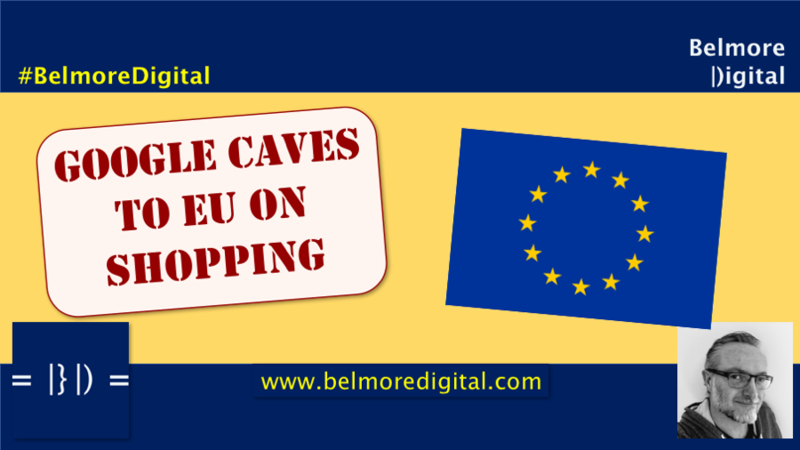 Google is going to do something with Shopping to appease the EU. Round #837 next week. Google does a PSA and backs me up on how I’ve been telling clients to deal with recurring events content / pages. The Big G blows its own trumpet a little on there being no need for location modified searches anymore, as their location tracking on mobile is so good. Some superb Bits & Pieces. Mainly brought to you by Twitter. Have you read The State of SEO 2017? It turns out things I predicted are coming to pass. What about the Mobile First Is Not Mobile Friendly post? It’s becoming clearer. 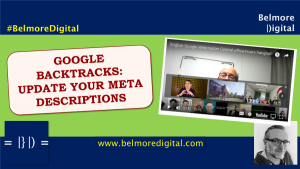 Google is still being evasive on content visibility.